What's happening in the Tuckshop Garden? Read on and find out. Follow the progress of my cutting patch and Tuckshop Flowers. Christmas is coming and the wigloo's getting hairy….. 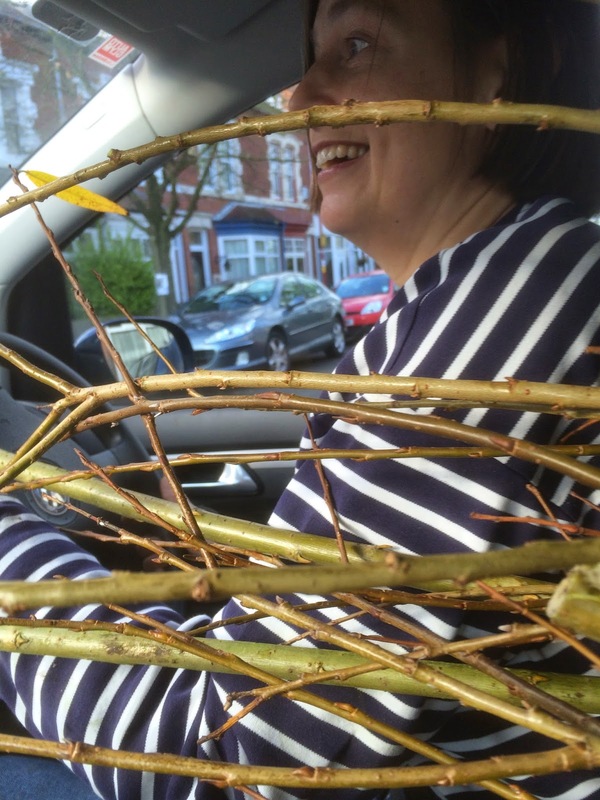 So it was off to join the Friends of Cotteridge Park on one of their weekly Sunday morning maintenance missions to tame the sproutings. 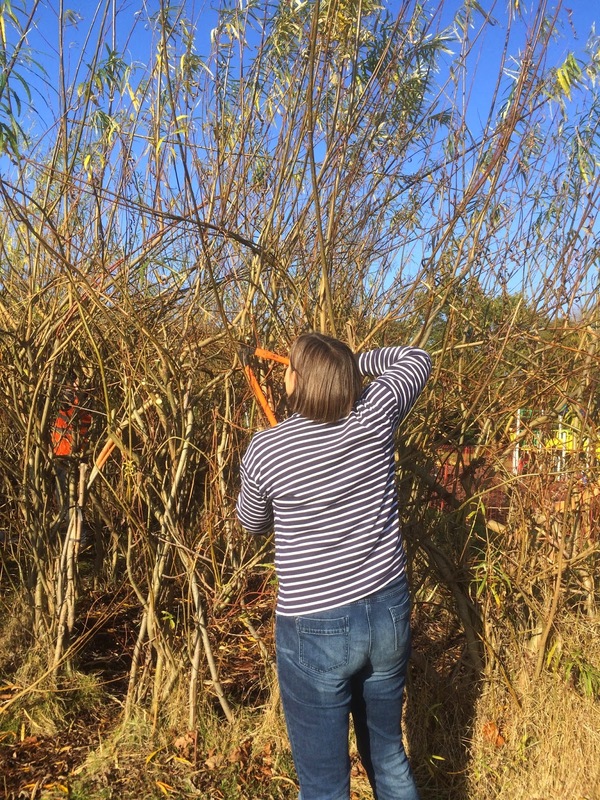 With loppers and secateurs in hand, Judith, of Pollen Floral Joy, and I squelched over the boggy grass to do some serious snippage in the late autumn sunshine. Yes we are kind ladies, but not entirely altruistic ones. 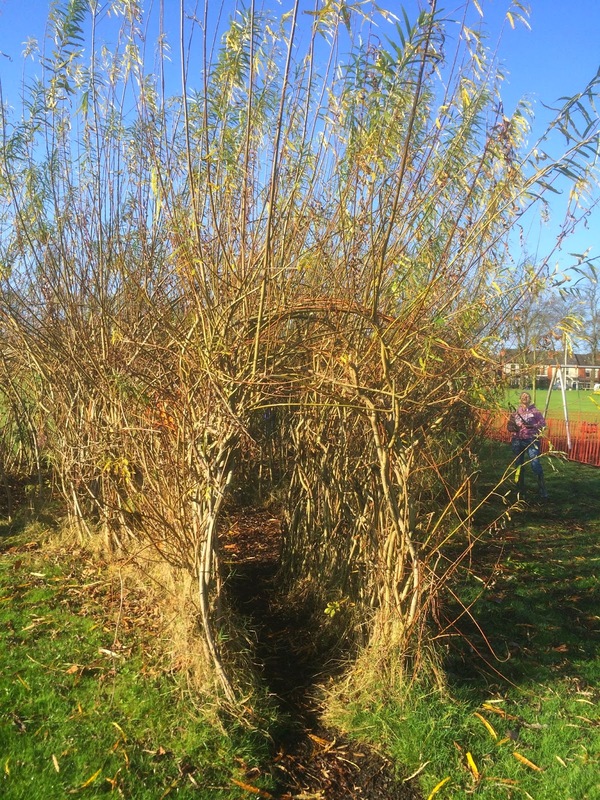 We wanted willow, and we wanted lots…. Why? To twist into wreath bases just in time for Christmas…. Heaven knows we came back with plenty of them! Plenty to go round for my wreath workshops. I've already turned some into bases of various sizes ranging from the tiniest dolls house front door wreaths (napkin rings??) to monsters of about 80cm in diameter. 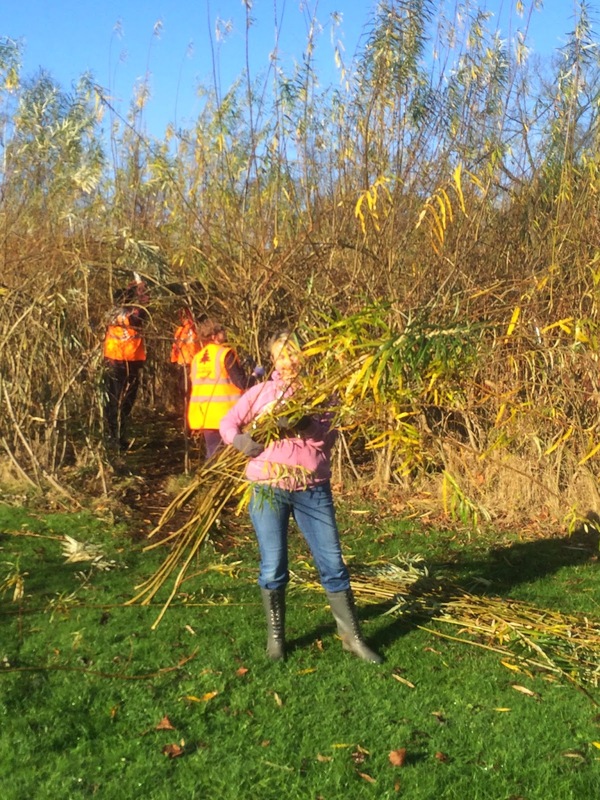 We have a great supply of willow at the allotment and the owners permission to take as much as we want. I set about making a rustic willow obelisk ... took me hours .... total disaster! Had a great laugh doing it though. Might give your Christmas wreath a go and let you know how I get on! Would love to see how it works out! You can always consult the video for tips if you need them.... My top tip is wiring the join when you start off. Otherwise prepare for it to ping apart with lots of swearing.....! What's it like to be a flower grower in winter? Wordless Wednesday - My wordless week. All text and images copyright of Carole Patilla. Simple theme. Powered by Blogger.